We made a partnership with the former #1 FIFA and FIFA Street player in the world drpolove. He will explain everything you need to know to improve your FIFA skills. 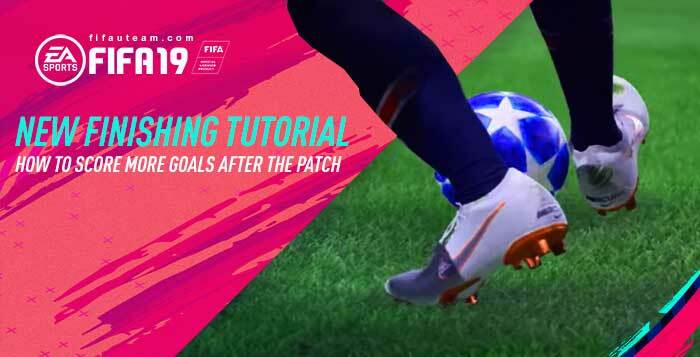 Today, he will explain how to score more goals after the seventh patch. Don’t forget to support him, subscribing his Youtube channel and following him on the Twitter. More gameplay guides for FIFA 19 will be published, so don’t forget to come back and learn with the best. Hey everybody, long time no see! With patch 7 heavily nerfing finesse shots, match fow in FIFA 19 is very different now. Scoring requires more work than before and some people are finding that tricky. So here are 5 ways you can score more often! If you trigger a run on any player (L1/LB), they’ll keep charging forward in a straight line more or less. Wait until your runner is just about to go past the defender, and then unleash a through ball. This is literally impossible to defend if you time it right, since you’ll be right behind the defensive line and through on goal. Keep in mind that you’ll slow down with the ball and might need to knock it on with the right stick, or you might have to shield for a moment if the defenders try to bump you from behind. If you have the time and space to watch your attackers, you’ll notice sometimes they make these runs on their own. Keep an eye out for easy through ball opportunities whenever you can. If you’re outside the box and kind of far from the edge of it, you sometimes have time and space to think. Take a quick peek at the players inside the box and try to predict their movement a few seconds ahead. You can then do a driven pass (sometimes regular works too) to that player, and if it works you’re basically ready to shoot and score. Defending this long-ish range driven pass into the box is extremely difficult. If the ball does get into the box, the defender has to make a split second decision about where to stand and if to tackle you. You have all the power and can just turn and shoot. Sometimes you won’t even need to turn all the way. Most people are used to shooting across the goal in FIFA. Between various OP shots over the years, this has become a standard way to play the game. As a result, most people will move their goalkeepers across the goal! This method is more risky than usual, I like to use it when I’m behind already or truly need width. On the dpad, set your fullbacks to join the attack. You’ll notice they’ll have acres of space against more formations. Feed them quick passes and through balls, and don’t be scared of cutting inside with them even. These full backs will drag the defensive line and CDMs out of position which frees up passing lanes towards your central attackers, leaving them in acres of space around the box. Because FUT squads aren’t really that diverse, most people are used to playing against the same cards over and over. What they’re not used to is when you flip the script on its head. If you’re at the edge of the box with a right footed player, most people expect you to do everything you can to get into a shooting position on your right foot. So all you have to do is fool them by favoring your left foot. You can do a 360 spin or stepovers and exit onto the weak foot, putting you into lots of space inside the box. At this point you can shoot, or you might even have space to adjust and shoot with your strong foot! Anyway comrades, I hope this has been helpful and gives you inspiration for scoring more goals! Some of these tips might look like “common sense,” but implementing them successfully can take a lot of practice. drpoplove is a former #1 FIFA and FIFA Street player in the world. He lives and breathes football and currently spends his time making FIFA YouTube videos and podcasts.